All three teams in the relegation battle picked up points during jornada 16, but one of those sides didn’t gain all three points, Chiapas. Chiapas’ game against Santos was simply brilliant to watch. As ever, Sergio Bueno’s side didn’t play how teams in relegation battles usually do. Instead of looking to scrape a win, Chiapas were easy on the eye, playing their intricate short passing game. Los Jaguares sat back on their early lead too much in the second half though, and Santos eventually found an equaliser through Osvaldo Martínez. A thrilling, end-to-end finish followed. Jonathan Rodríguez sunk home fans heart’s when scoring in the 81st minute, but just three minutes later Jonathan Fabbro equalised with as a cool a dinked finish as you’ll see all season. Unfortunately, fan violence stole the headlines just before full-time, but this match should be remembered as one of the best of the season. With Chiapas only managing a draw, it meant that Veracruz’s victory over Monterrey on Friday, combined with their superior goal difference, was enough to see them all but safe. Veracruz produced a complete performance against Los Rayados, preventing their opponents from managing a single effort on target. Morelia played after Chiapas, and blew Pumas away to move ahead of Chiapas in the relegation table. Raúl Ruidíaz was the hero, bagging a hat-trick as Morelia took full advantage of a Pumas side that are on a poor run of form. Chiapas are favourites to go down now, but there’s still one more exciting week to come. Morelia face a tough test at Monterrey, whilst Chiapas must win at Atlas, due to their poor goal difference. Better late than never. Tigres haven’t been inside the top-eight all season long, until now, with just a week remaining. 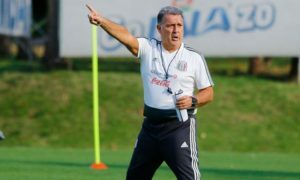 Tuca Ferretti’s side responded to their CONCACAF Champions League final defeat with a comfortable three-nil win against Tijuana. In a very poor defensive performance from Los Xolos, Tigres had secured the three points by half time. They only attempted three shots on target in the first period but scored them all. Jesús Duenas, Lucas Zelarayán and Juninho, with a brilliant volley, grabbed the goals. The other contenders for liguilla are Morelia, Pachuca, Veracruz, León and Necaxa. León almost certainly needed to win at Chivas, but a controversial penalty contributed to their one-one draw at Estadio Chivas. Necaxa are up against it with their minus five goal difference, but they have won three in a row now. 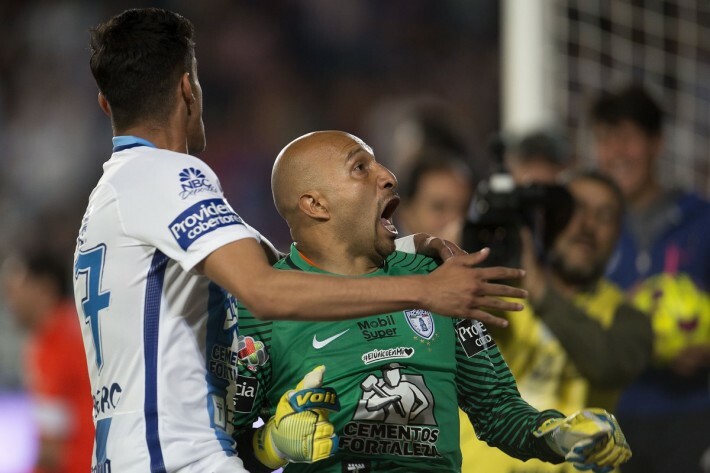 The latest victory came at Puebla, as Edson Puch’s heavily deflected strike turned out to be the only goal of the game. Pachuca scored their first league goal in 610 minutes during their home match against Cruz Azul, but fell behind in the 77th minute. 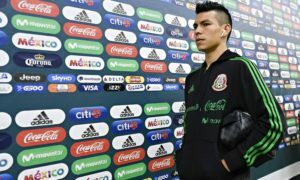 Like León, a controversial penal cost them. Los Tuzos also managed to fight back in a similar, but more extraordinary, manner to León. 44 years old, 5’ 7.5” tall, Óscar Pérez added to his folklore by scoring a 93rd minute header. It was the icing on the cake of a superb Liga MX Saturday, and knocked Cruz Azul out of liguilla contention. Sitting last in the relegation table, and facing Monterrey away next week, Morelia’s home game against Pumas was more or less must win. And win they did, in some style too. Four-nil was the final score, with Peruvians getting all four goals. Raúl Ruidíaz has been fantastic since joining La Monarquía last summer. The ex-Universitario forward is the league’s top scorer across the Apertura and Clausura with 19 goals, grabbing over 42% of Morelia’s goals in 2016/17. It’s not just his goals that have caught the eye though. Ruidíaz is an all-round attacker, capable of leading the line as well as dropping into a “number ten” position to get on the ball and create. Raúl has also grown into a leader as the relegation battle has worn on, providing a spark and drive to Morelia’s attack. On Saturday, Ruidíaz displayed his ruthlessness in front of goal, scoring a hat-trick from just five attempts on goal. Ruidíaz isn’t Monarcas’ only influential Peruvian though. Winger Andy Polo has added to Morelia’s plethora of dangerous wingers since joining in the winter. The 22-year-old, who is yet to reach the big potential that he was said to have had as a teenager, is rapid with the ball at his feet, and capable of deceiving defenders with body swerves and tricks. Polo caused nightmares for Pumas left-back Alan Mendoza on Saturday, whose defensive vulnerabilities were fully exposed. Andy beat Mendoza on multiple occasions, and scored a fantastic solo goal. His first touch took Polo between two Pumas players, and then the Peruvian was able to finish well with the outside of his boot. Peruvians aren’t too commonly sighted across Liga MX, but two players from the South American nation have had significant impacts on Morelia’s season. If La Monarquía are able to stay up next week, they’ll have a lot to thank Peru for. There’s recently been rumours that Liga MX could become a closed system, like MLS, without relegation to lower leagues. From forcing teams to keep up high standards, to allowing the development of small clubs, there are many benefits that promotion and relegation brings. 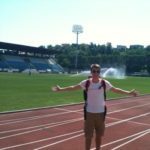 Recently, we’ve witnessed one of the best parts of having relegation, excitement. With the liguilla system, it could be argued that Liga MX is setup to promote excitement over fairness. If powers that be want Mexico’s top flight to be as exciting as possible, it must keep relegation. Normally, Veracruz, Chiapas and Morelia aren’t given much attention. 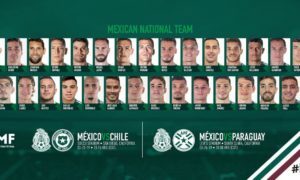 They’re three of the smallest sides in Liga MX, and are rarely written or spoken about. Lately, they’ve been headline news, with matches involving these three sides fascinating and thrilling. The reason why is obvious, all three have been fighting against relegation this Clausura. It’s been one of the closest and most entertaining relegation battles in Liga MX for a few years, with plenty of twists in turns. In the past three jornadas, all three teams have sat at the bottom of the table de cociente, and with one week to go we still don’t know who will go down. Morelia and Chiapas will kick-off simultaneously on Saturday, and more drama shall unfold. If Liga MX want to maximise the excitement that the division brings fans, it must consider both sides of the table. Yes, liguilla is great, but so is a relegation battle. With more relegation spots or descenso being decided over just a single campaign, relegation may become an even more dramatic aspect of Liga MX.